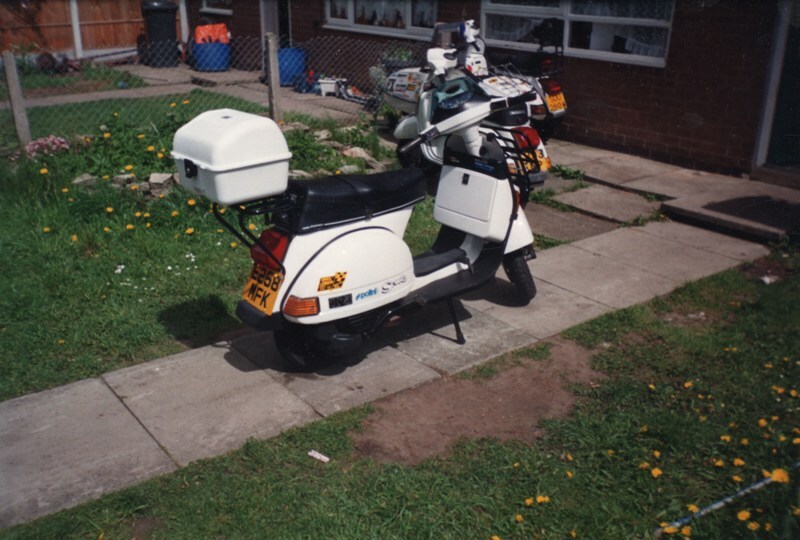 in the foreground is my trusty T5 which was later done in orange...the "C" reg is a PX200E that I swapped an Indian "series 2" Lambretta for...the PX and sidecar needs no introduction...I took the 200cc engine from the "C" reg and fitted into the sidecar...a spare T5 engine was fitted into the "C" reg...I can't remember what I did with the "DR" kitted 125cc engine that was in the sidecar!!.. 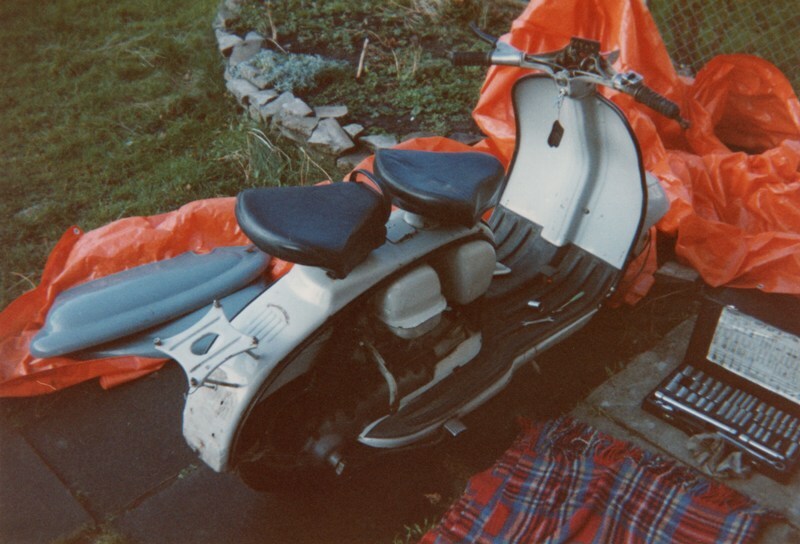 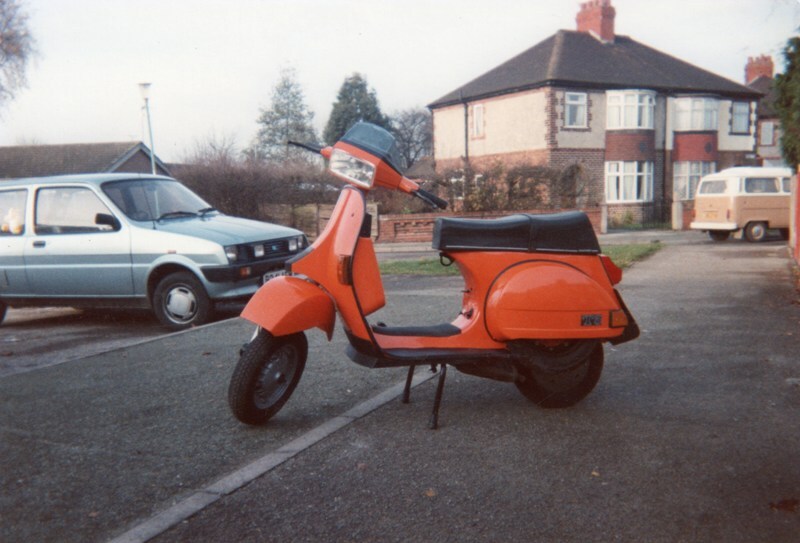 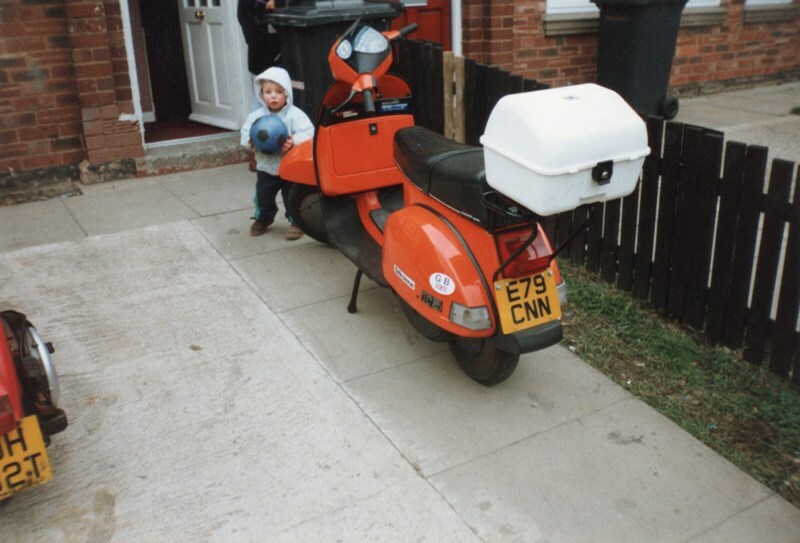 I bought this at some stage in 1996...it was minus the engine side sidepanel which is why it is a different colour red...Perry's took it part exchange on the green PX200E...who sold it to a mate of mine who wasn't interested in it when I had it for sale!!.. 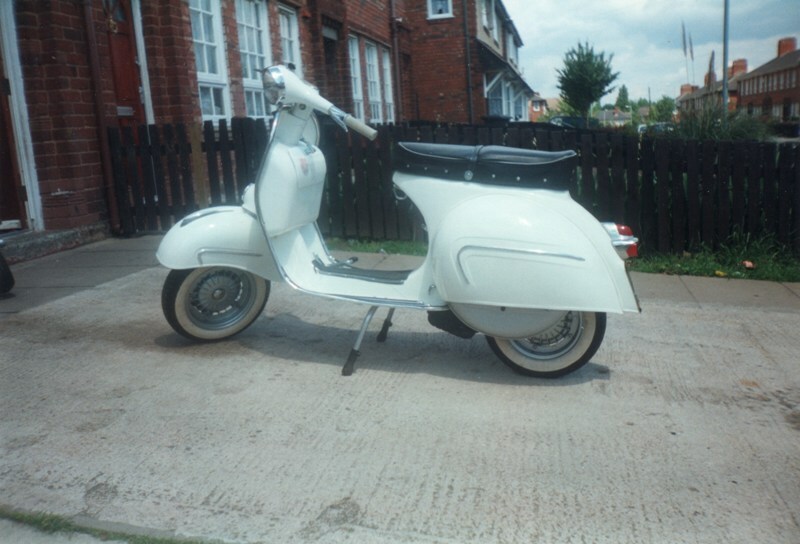 I was given this...ran well...didn't always start first time though...what do you want for nothing!!.. 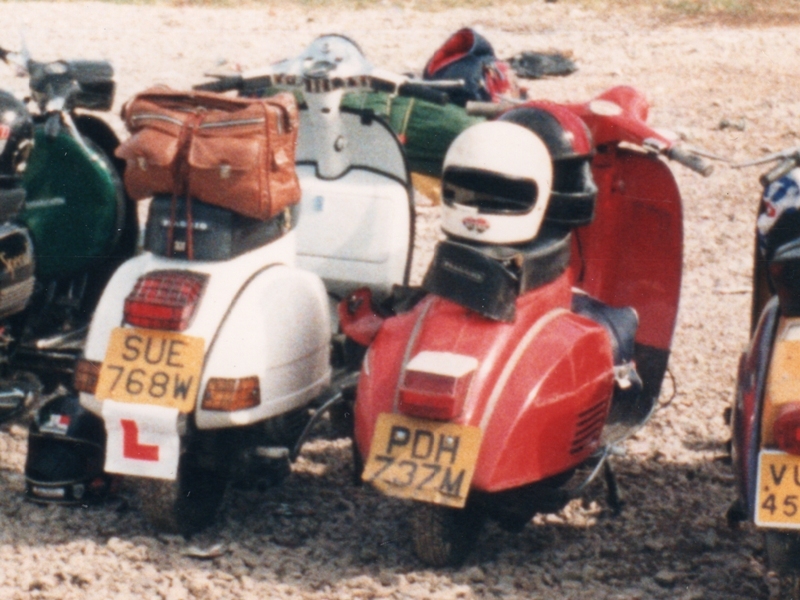 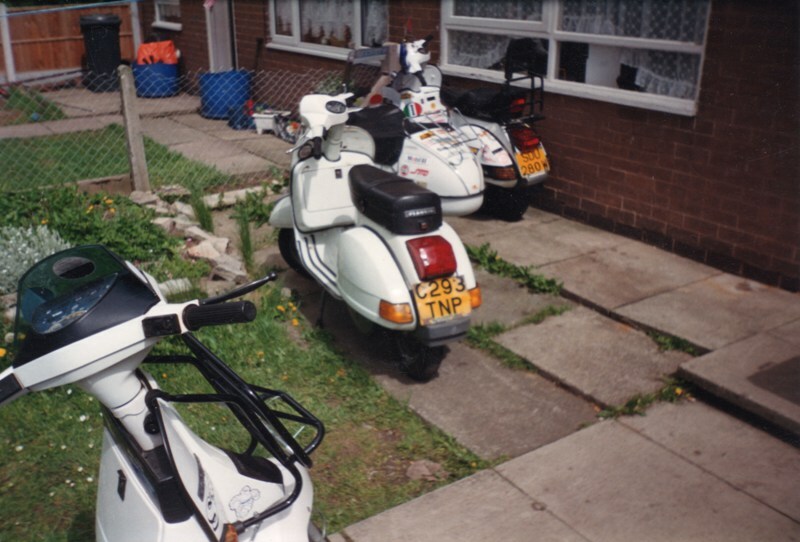 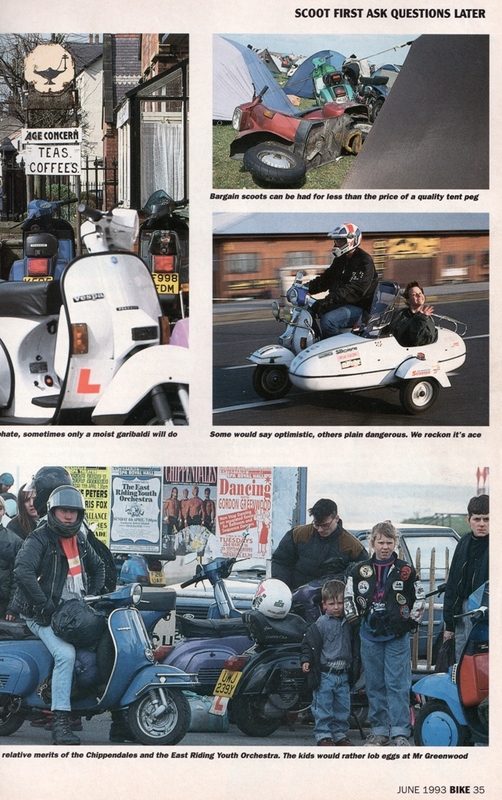 Weston-Super-Mare this time...still 1987...the white PX is also mine...I loaned Dave Green the 150 Super for this Rally as his Lambretta was off the road...nothing new there...the P200E I bought in bits (which he forgot to mention when I gave him the £90 he was asking for it!!) 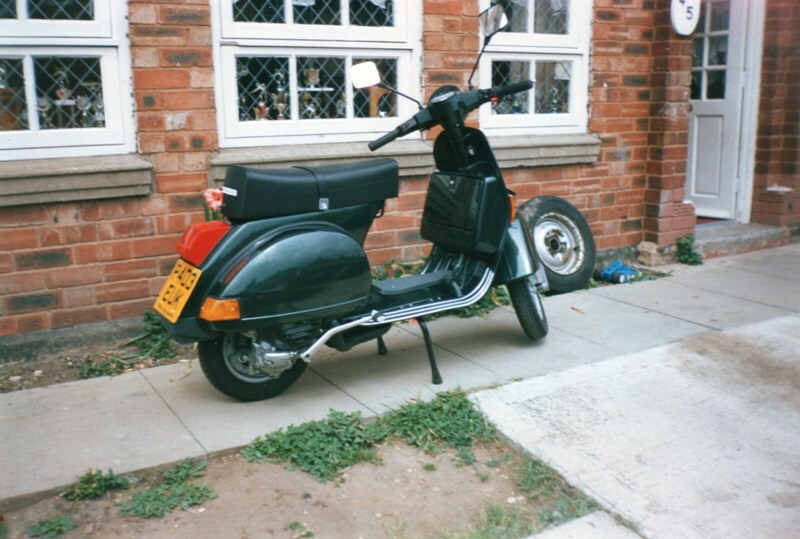 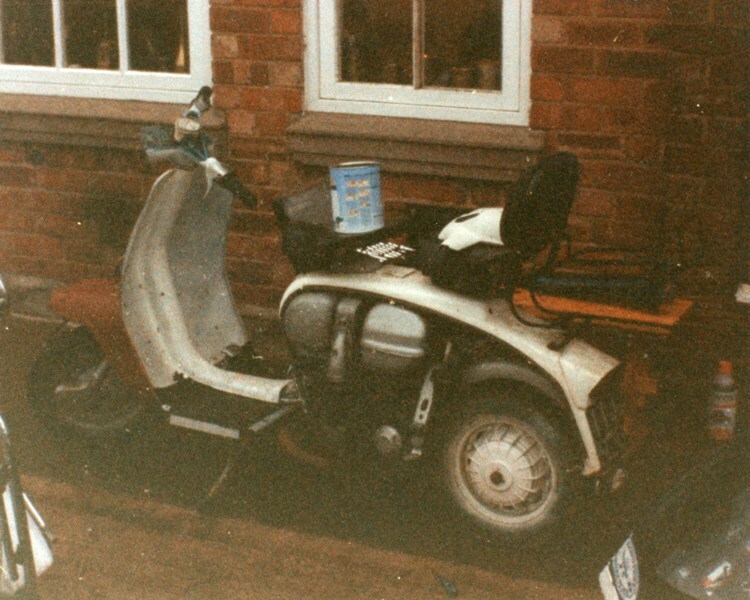 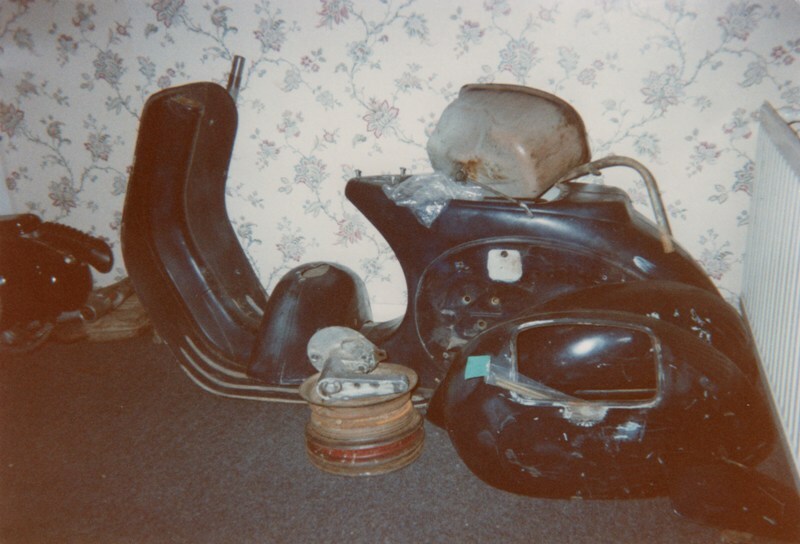 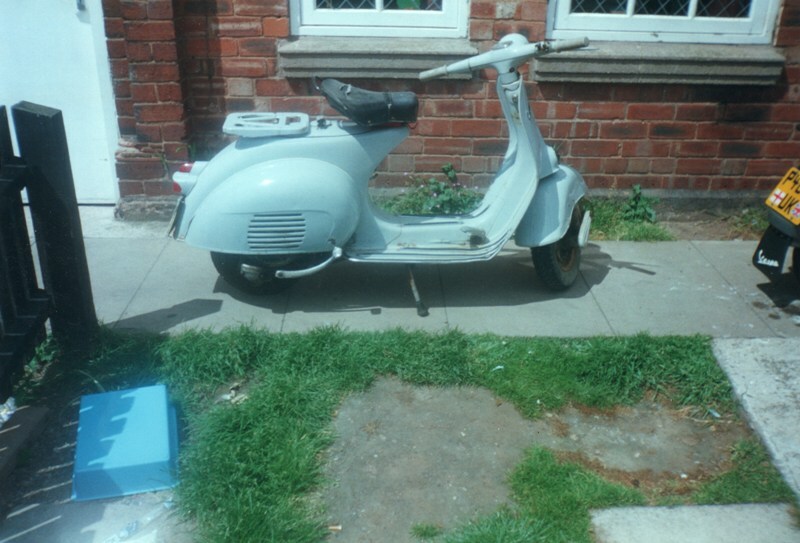 from Dennis Merrick...had it shot blasted...resprayed and rebuilt in nine days...the 150 Super I bought from Danny Gleeson...it was stolen when Dave Green parked it in some badly lit back street late at night without a steering lock on! 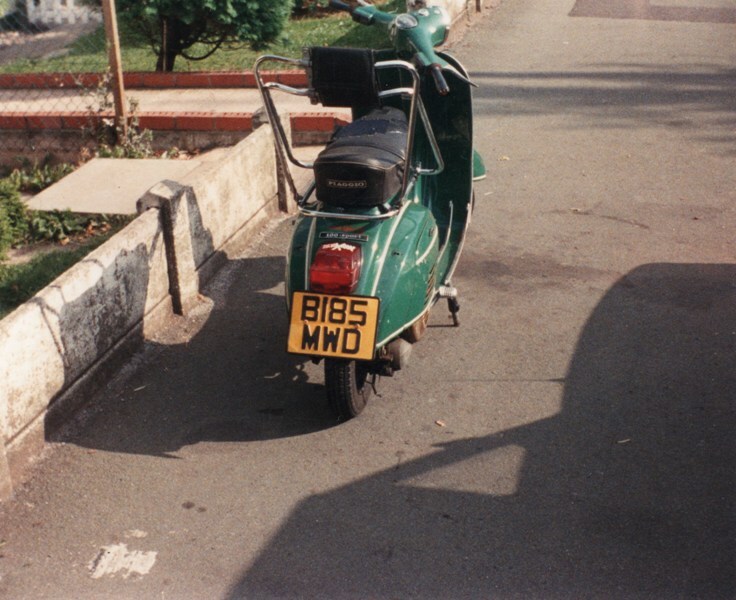 !..